Wednesday, 15th of November, 2017, 10AM EST, Baltimore, MD, Insilico Medicine, a Baltimore-based next-generation artificial intelligence company specializing in the application of deep learning for drug discovery announced the publication of a new peer-reviewed research paper titled" Converging blockchain and next-generation artificial intelligence technologies to decentralize and accelerate biomedical research and healthcare" in Oncotarget. Insilico Medicine scientists specializing in deep learning collaborated with the scientists and developers from the Bitfury Group, the world's leading full service Blockchain technology company, specializes in securing the Blockchain and deploying cutting edge hardware and software solutions to governments, institutions, and corporations. In the paper the groups presented the first attempt to assess the value of time and the combination value of personal data in the context of an AI-mediated health data exchange on blockchain. "Most people do not understand what life data data they have, how valuable and dangerous this data may be and do not have any control over how their life data is being used. The policy makers are trying to address this problem by introducing new regulations that make it expensive and difficult for the innovators to turn the human life data into life-saving products. 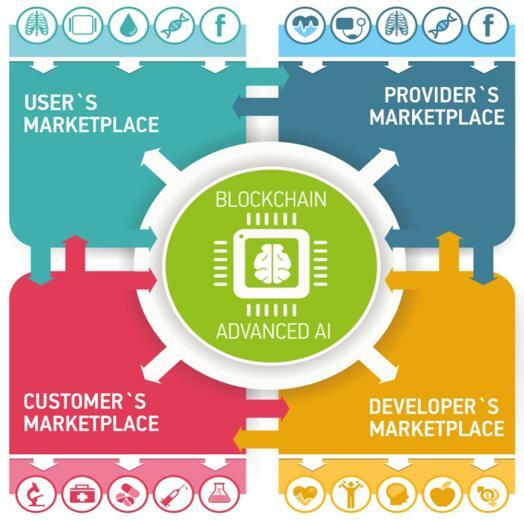 In this paper we propose a blockchain-enabled solution to help people become aware of and take control over their data and profit from licensing the data to the innovators", said Polina Mamoshina, Sr. research scientist at Insilico Medicine. "We are enthusiastic that blockchain technology can help solve one of the major problems in modern healthcare – patient data management. We are even more excited that Insilico is building this solution on our open-source Blockchain framework, Exonum. An Exonum-based Blockchain provides security, transparency and reliability, which will significantly improve overall efficiency and patient satisfaction as well as provide an avenue for easier auditing. We look forward to sharing our progress", said George Givishvili, Chief Marketing Officer of Bitfury company. "In the post neoclassical world, healthy productive longevity will be the new driver of economic growth. Creating an economy around human life data and returning the ownership and the control over life data back to the individual is one of the most important steps towards extending healthy productive longevity of the global population. It is also a very altruistic cause, which may help reduce the gap between the rich and the poor and allow the people from all walks of life and geographies to equally profit from their own data", said Alex Zhavoronkov, the founder of Insilico Medicine, Inc.